How do you choose the best shirts and garments for screen printing? High quality. You should choose garments that you would recommend to your best friend or even your Mom. Available in colors and sizes you want. 50 colors is a lot better than 5. Sold by vendors that have warehouses close to you. You want to be able to get your garments within the shortest possible timeframe. This is an example with links to specific shirts and garments that will help you build your sell sheet. You'll notice there's only a handful of items! This dramatically reduces complexity and makes running my shop far more efficient. My printers can get consistent results, I can negotiate lower prices, and my customers have a better experience. Keeping your print shop's number of SKUs low will improve your business. A sell sheet is essential for selecting the right shirts and garments for your print shop. Only stock your most popular shirts and garments. Determine what's been most popular in the past. For each garment type, make 3 categories. Good, Better, Best. Evaluate the quality of print you get on each shirt. Evaluate the cost of each shirt. Evaluate the availability of each shirt. Quality. Consider the quality of the product and your relationship with the distributor to choose the best fit for your business. Do you like this shirt? Is it something that you would wear? Would you recommend it to a close friend or family member? Availability. Determine if the shipping logistics from the product's vendor are favorable. Is it only sold in one warehouse? Is the vendor's warehouse close to your shop? Can you get it somewhere else if it's out of stock? Do multiple distributors carry the same garment? Cost. Try to leverage limited SKUs to get discounts on wholesale products. If you consolidate into specific products, you'll have leverage to negotiate for lower prices with vendors and wholesalers. Limiting the range of product you offer is a high-value activity. Good. We sell Port and Company basics. They have a fantastic price point. You can substitute with Gildan, Hanes or Fruit of the Loom easily. Better. We sell Tultex and District as our mid-level options. They provide good value. Best. We sell American Apparel for brand name recognition, and offer Bella + Canvas because of their incredible quality. There are more than 3 distributors that carry each brand, so it's easy to find product. But reducing the number of products you offer to customers improves their experience. There's something called analysis paralysis that occurs when you have too much information to choose from. That's what happens with every garment vendor. There are thousands of SKUs to choose from. It's a firehose of information. It's too much for customers to even begin to understand. By creating a strong sales sheet, you can create leverage to negotiate prices between vendors. Example: Bella + Canvas 3001 t-shirt. We have six wholesale vendors that I can get this Bella + Canvas t-shirt from. So if one wholesaler is out of stock, I can find another vendor that has it. This stops jobs from being in jeopardy because goods are out of stock. Find wholesale vendors that are the shortest possible distance away from your shop. This reduces the turnaround time and allows you quickest possible access to shirts and garments when you need them. I'm fortunate to be within range of six vendors that have 1-day shipping available. We love to make your customer's experience better. 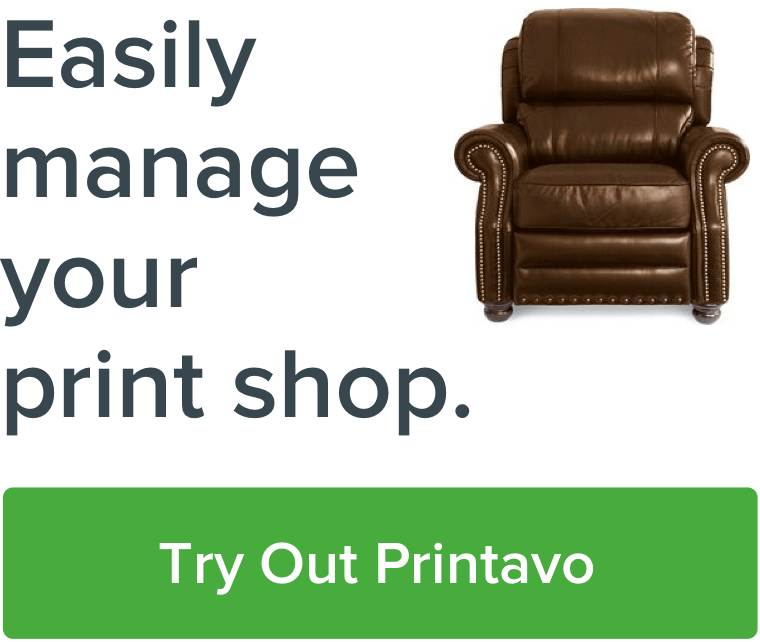 Printavo is built with screen printers in mind so they can save time and money, print more jobs, get approval faster, and stay organized. There's always more help with setting up & using Printavo – as well as marketing and business advice from seasoned professionals – if you follow us on Instagram.